not to discuss it or think about it. Trying too hard? It doesn't have to be that way. If you’re the type of golfer who wants to escape the checklists and technical jargon, these clinics are for you. 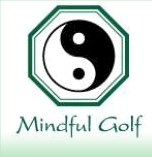 Join PGA Professional and Mindful Golf Pro Michael Turnbull to learn some very simple methods to swing a golf club and increase your confidence on the course.